Application of chaperone molecule Elongation Factor-Tu to increase the production of carbohydrate in plant. 2013. Funded by the Ministry of Agriculture. Isolation and expression of Elongation Factor 1-alpha from cassava ( Manihot esculenta Crantz). 2013. Funded by Institut Teknologi Bandung. The use of cis-acting chaperone molecule ( tuf gene) to increase photosynthesis efficiency of sugarcane. 2013. Funded by the Ministry of Agriculture. Development of molecule marker for selection of Osphronemus Gouramy Lac resistant to Aeromonas Hydropilla. 2013. Funded by the Ministry of research and technology. Cloning and transient expression of hemagglutinin protein from H5N1 virus strain Indonesia. 2009. Funded by Institut Teknologi Bandung. Binary vector construction for pyrophosphate-dependent phosphofructokinase (PFP- a ) sense and antisense gene sequences. 2010. Funded by Asahi Glass Foundation 2010. Development of transgenic dicots and monocots for expression of recombinant protein need for biomaterial and molecular farming. 2009. Funded by Institut Teknologi Bandung. Transformation of W-Box on cis-acting promoter Elongation factor-1 a (MeEF2 gene ). 2009. Funded by the Ministry of Education and Culture. Elfahmi, Sony Suhandono , Agus Chahyadi, Tati Kristianti. Increasing the expression of Ads (Amorpha-4,11-Diene Synthase) gene for artemicinin production in Artemisia Annua L. Submitted Patent. (Filling Date): P00201300779. 24 October 2013. Kusumawaty D., Suhandono S., Pancoro A., Aryantha I.N.P.. 2017. Induction of toll-like receptor (TLR) 2 and Myeloid88-dependent TLR-signaling response to aeromonas hydrophila infections in gouramy (osphronemus Gouramy). IOP Conference Series: Materials Science and Engineering. Kusumawaty, D., Pancoro, A., Aryantha, I.N.P., Suhandono, S. Evaluation of identification techniques for the fish pathogen, Aeromonas hydrophila, from Indonesia. [full text]. Malaysian Journal of Microbiology. 2016. Sony Suhandono M.Sc.,Ph.D., , I Nyoman Pugeg Aryantha Ph.D., Heri Setiadi, Tati Kristianti, Ali Budhi Kusuma, Andini Warih Wedaringtyas, Demi Tristan Djajadi Diversity of Culturable in Various Part of Luwak’s (Paradoxurus hermaprodithus javanica) Gastrointestinal Tract. Microbiology Indonesia. 2016. Sony Suhandono M.Sc.,Ph.D., Meirina Kartika Kusumawardhani, Dr. Pingkan Aditiawati MS “Isolation and Molecular Identification of Endophytic Bacteria From Rambutan Fruits (Nephelium lappaceum L.) Cultivar Binjai”. Hayati. 2016. Santoso, P.J., Aryantha, I.N.P., Pancoro, A., Suhandono, S. Identification of Pythium and Phytophthora associated with Durian (Durio sp.) in Indonesia: Their molecular and morphological characteristics and distribution. [full text]. Asian Journal of Plant Pathology. 2015. Febryana, N.Y., Moeis, M.R, Suhandono, S. Study Characterization of Aflatoxin -Whole Cell Biosensor based on Co-transformed Escherichia coli BL21(DE3) with pKCYP and pSOSGFP. Research and Development on Nanotechnology in Indonesia. 2015. Elfahmi, Suhandono, S., Chahyadi, A. Optimization of genetic transformation of Artemisia annua L. Using Agrobacterium for Artemisinin production. [full text]. Pharmacognosy Magazine. 2014. Moeis, M.R., Berlian, L., Suhandono, S., Prima, A., Komalawati, E., Kristianti, T. Cloning and construction of recombinant palI gene from Klebsiella oxytoca on pET-32b into E. coli BL21 (DE3) pLysS for production of isomaltulose, a new generation of sugar. AIP Conference Proceedings. 2014. Hernahadini, N., Suhandono, S., Choesin, D.N., Chaerun, S.K., Kadarusman, A. Isolation, identification and characterization of indigenous fungi for bioremediation of hexavalent chromium, nickel and cobalt. [full text]. AIP Conference Proceedings. 2014. Suhandono, S., Apriyanto, A., Ihsani, N. Isolation and characterization of three cassava elongation factor 1 alpha (MeEF1A) promoters. [full text]. PLoS ONE. 2014. Semiarti, E., Purwantoro, A., Mercuriani, I.S., Anggriasari, A.M., Jang, S., Suhandono, S., Machida, Y., Machida, C. 2014. In planta transformation method for T-DNA transfer in orchids. [full text]. AIP Conference Proceedings. Hayati Minarsih, Dwiyantari Widyaningrum, Sony Suhandono , Soekarno Mismana Putra & Asmini Budiani. 2013. Cloning of P5CS gene from Saccharum officinarum L. The Journal of Mathematical and Fundamental Sciences (ISSN 2337-5760) (formerly ITB Journal of Science (ISSN 1978-3043). 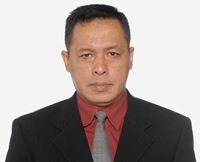 Shibghatallah M.A.H., Khotimah S.N., Suhandono S., Viridi S., Kesuma T. 2013. Measuring leaf chlorophyll concentration from its color: A way in monitoring environment change to plantations. AIP Conference Proceedings. Suhandono, S ., Reza, E., Apriyanto, A., Tati K., and Nadya, F. 2012. Gene Bank Accession Number: JN132399. Title: Saccharum hybrid cultivar PS 862 elongation factor 1 alpha (eEF1A). Sony Suhandono , Ardha Apriyanto, Tati Kristianti . 2012. Isolation of two Elongation Factor 1-Alpha promoters gene from cassava ( Manihot esculenta Crantz). Journal of Life Sciences and Technology , 1: 1-18. 9 Pancora Adi, Annisa, Suhandono, S., dan Mulyani Yuniar. 2005. Aplikasi Penanda Molekuler Mikrosatelit untuk Analisis Keragaman Genetik dan Heterozigositas pada Mangga. 10 Widiyanto, Sri N., Pancoro, Adi., Suhandono, S., Brunner, Amy M., Strauss, Steven H. 2005. Transformasi Genetik pada Jati dengan Perantara Agrobacterium tumefaciens. 11 Dwivany, F., Suhandono, S., Ramondrana D., Wicaksono, D.W., 2005,Isolation and Expression Analysis of the ACC synthase and ACC oxidase Genes from Pisang ambon. 12 A, Yudi Kustiawan, Y, Efendi, D, Natalia, Suhandono, S. 2004. Kontribusi Gen Cb42 dengan promotor CaMV pada Vektor Ekspresi pCambia 1303. 13 Effendi, B., Ghotzadi M., Widodo, Suhandono, S. 2004. Konstruksi Vektor Biner dengan Promoter MeEF1 dan CaMV 35S Berbasis pCAMBIA1390 DAN pCAMBIA1303 untuk Ekspresi Gen Hepatitis B surface Antigen (HbsAg) pada Tumbuhan.